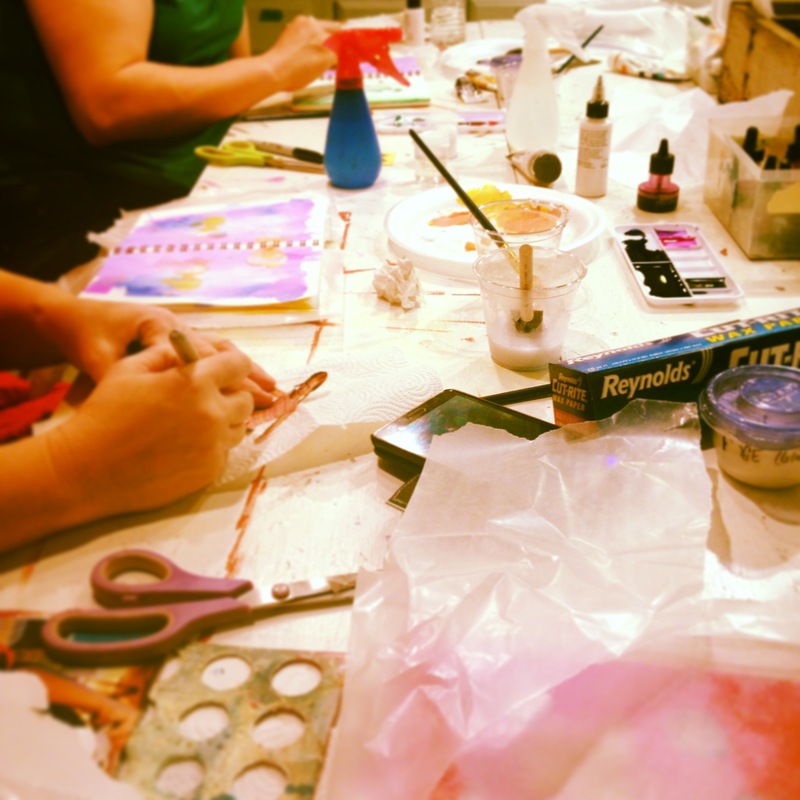 One of the things I enjoy most is sharing my love of mixed media with others, and hearing them say, “This is so much fun!” I got that chance this past weekend in my studio, during my Mixed Media workshops. We partied into the night on Friday, and part of the day on Saturday, and I was impressed with the variety of art that was made. 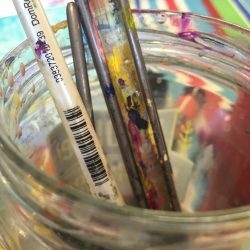 Artist Cheryl White attended the workshop and got the fever — not much of her journal was untouched before she left. She has written a blog post that features one of her gorgeous creations from the weekend. Check it out HERE. (Note: that’s her in the photo above [bottom left], working on the journal page that is featured in her blog). The goal for my classes is always to inspire, but I find that I come out of them motivated and encouraged by the creativity of others. It’s good to make art, simply for the sake of having fun.